12th Dec: One Day. A million smiles. 12th Dec: One Day. A million smiles. Retail Employees' Day was started with the noble intention of applauding the untiring efforts of those working on shop floors at retail outlets. However, with each passing year it grew in scope to encompass all employees in retail and not just sales associates. Slowly, it also grew to embrace not just retail companies but also service provider to retail. Together, all stakeholders worked towards not just recognizing the efforts of retail employees within the industry but also towards creating awareness and empathy for their jobs and lives and the significant role they play in the lives of the customer. This initiative has been conceptualized by TRRAIN (Trust for Retailers & Retail Associates of India). In India, it is celebrated in partnership with RAI (Retailers Association of India). Six years on and ‘Retail Employees’ Day (RED)’ has touched the lives of over 5 million employees and is celebrated in India, Turkey, UAE & parts of Singapore. RED has found widespread acceptance across retailers and brands of all sizes and across geographies. Most companies have a separate budget crafted to carry out activities on this day. Top management blocks their calendars every year for RED and visits stores. It has become an occasion for employees from HOs and stores of different brands to celebrate together. It has grown become the day when the retail industry stands together as one, in celebrating the efforts of its unsung heroes. Last year, Retail Employees’ Day 2016 saw as many as 300+ organizations and 80-100 malls across India celebrating the day by organizing various employee recognition and engagement activities such as cultural programmes, free make-overs, team lunches, and outings with family. The celebrations received support from brand ambassadors, celebrities from the Indian Film Industry & the Prime Minister’s Office showing its support to India’s 2nd largest industry- retail. The feather in the cap was the association with Paytm in India. The Business Excellence Department in the department of Economic Development, UAE joined hands to celebrate Retail Employees’ Day. A film was also released to encourage customers to realise the importance of retail associates. The film had a combined social media reach of about 5.4Million user accounts. In July 2016, TRRAIN undertook an independent study in order to gain a deeper understanding of the positive impact of Retail Employees' Day on different aspects of employee performance. “TRRAIN is proud of being part of the Indian Retail Industry. I believe recognizing the efforts of our retail staff and appreciating their hard work should become an integral part of all retailers. Dedicating a day to thank them for their year long effort at an industry level and the same being celebrated by millions of retailers can have a tremendous impact on the retail industry. More and more youth will look forward to working in the retail sector to learn and explore a career with many of them finally making retail their choice of career. My belief is that a small beginning like RED celebration can lead to improving happiness in the retail industry. A happy retail industry will lead to greater customer service and the nation will benefit as India is a nation of shopkeepers and our GDP is growing due to consumption.” said BS Nagesh (BSN), Founder, TRRAIN. Kumar Rajagopalan, CEO, Retailers Association of India (RAI), said, “Retail Employees serve the public through the year, including on holidays. 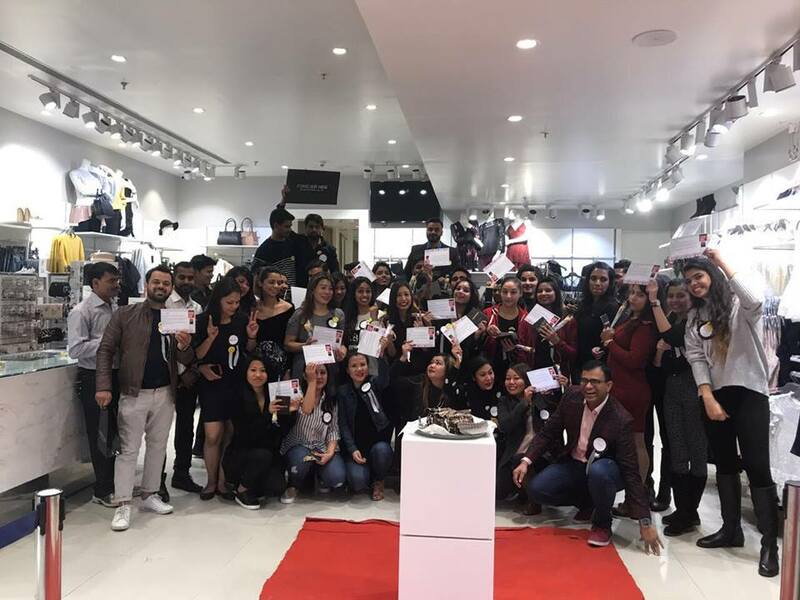 It was heart-warming to see so many stores, malls and service providers across the country celebrate Retail Employees day with merriment and events, making their employees feel special. Each one of them, in their own way, has helped make Retail Employees’ Day bigger and better. This is a day when the retail industry keeps aside competition and focuses on appreciating its workforce and spreading smiles”. This year, the celebrations were bigger and better. Over 500 organisations had pledged to celebrate Retail Employees’ Day pan India. Ministers from the government such as Shri Manohar Lal Khattar, Chief Minister of Haryana; Shri Vijay Rupani, Chief Minister of Gujarat; Shri Suresh Prabhu, Minister of Commerce & Industry, Shri Amitabh Kant, CEO, NITI Ayog; Shri Yogendra Garg, Additional Director General, Directorate General of Goods & Services Tax; Shrimati Smriti Zubin Irani, Minister of Textile & Information & Broadcasting & many others have shown their support. A single day can truly have a lingering positive impact and be instrumental in instilling long lasting pride & joy in the retail sector. With the support & encouragement from retailers, TRRAIN believes that the day is on its way to becoming an iconic industry wide celebration in India & across the world.